The magic of the Scottish Borders at Christmas time will be brought to life on screens across the UK, as the region takes a starring role in a leading retailer’s festive advert this year. 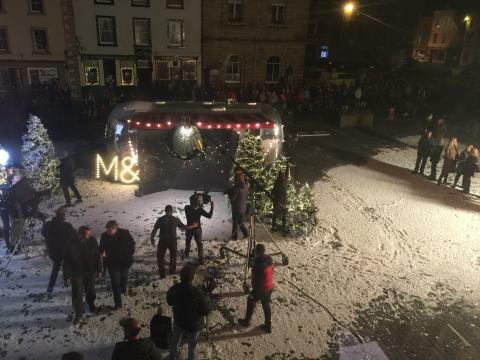 Kelso and Eyemouth were among the filming locations used in the popular TV advert after the streets were transformed into a winter wonderland for filming of this year’s Marks & Spencer advert in September. And as the hugely anticipated Christmas advertising season gets underway – last year’s M&S advert featuring Paddington Bear attracted more than 20m viewers on YouTube - Scotland’s national tourism agency believes that it could inspire people from across the UK to visit the region for themselves this winter. Kelso’s cobbled streets were transformed into a winter wonderland for the filming of the M&S food advert, whilst Eyemouth’s historic Gunsgreen House was also a location for the advert. 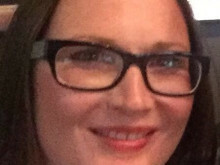 VisitScotland Regional Leadership Director Paula Ward said: “The Scottish Borders is truly magical at Christmas and it is no surprise that M&S has chosen to film its festive advert in this part of the world. “With its rugged coastline, charming towns, rich history and spectacular scenery, the Scottish Borders is the perfect choice for a holiday or short break at any time of the year. We are home to so many unique experiences that make Scotland the envy of the world. “The region is especially perfect during the festive holiday season. The warmth of our people, the beautiful displays by talented independent retailers and the unique gifts that can be sourced here make it a must visit Christmas shopping destination. This advert could create a boost for tourism in the region, with people across the UK inspired to visit the Scottish Borders for themselves. Local tourism organisation, Visit Kelso, said the community has really got behind the experience and hopes to attract visitors from far and wide. The Visit Kelso committee said: “News that M&S was filming part of its Christmas campaign in Kelso Square created a great buzz about town, and further afield through our social media pages. Councillor Mark Rowley, Scottish Borders Council’s Executive Member for Business and Economic Development, said: “All exposure for the beautiful Scottish Borders is great for our important visitor economy, and even a short clip in a national advertising campaign can have a positive impact. “The Scottish Borders has so much to offer visitors, at all times of the year, from our stunning coastline and landscapes to our historic houses, outdoor pursuits and food and drink, and hopefully more people will consider a trip to the Scottish Borders after seeing Eyemouth and Kelso in the Christmas Marks & Spencer advert.